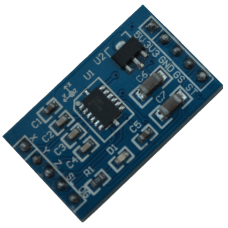 The MMA7361 Accelerometer Module is a triple axis micro capacitive acceleration sensor. It features an easy analog programming interface where each axis reports acceleration as a voltage level. 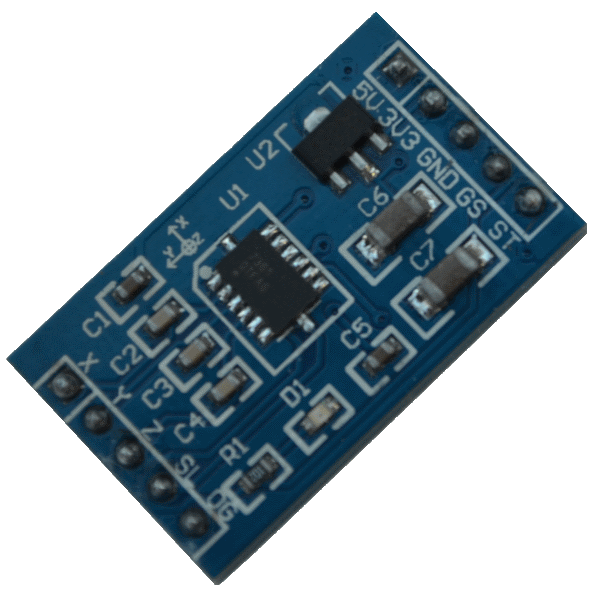 This module operates at 3.3V or 5V for use with a large variety of microcontroller systems. All of the MMA7361 pins are available via male header pins. An on-board 3.3V voltage regulator and power indicator LED are provided for additional convenience. Note that only one of the two power supply inputs should be connected and that the sleep mode input must be set to a logic high level to operate normally. This module will accept 5V logic input levels when powered from 5V, or 3.3V input logic when powered from 3.3V. This feature makes it fully compatible with popular microcontrollers such as the Arduino family.